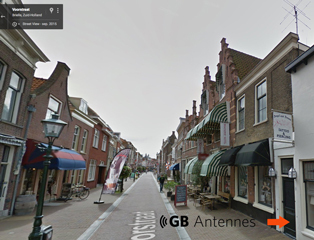 At GB Antennes it is of course possible to exchange or return your order (provided your ordered product does not fall under a legal exception) This can be done within 14 days after receipt of your complete order, preferably using the Formulier_ voor_ontbinding_ 2016.pdf that you can download on this page. We would appreciate it if you also send an email to info@gbantennes.com if you want to exchange or return, so we are already informed. " The withdrawal period expires 14 days after the day . In order to exercise the right of withdrawal, you must inform us of your decision to withdraw from the contract by means of an unequivocal statement (eg written by post, fax or e-mail). You can use the attached model withdrawal form for this, but are not obliged to do so. If you revoke the agreement, you will receive all payments you have made up to that moment, including delivery costs (with the exception of any additional costs resulting from your choice for a different method of delivery than the cheapest standard delivery that we offer). in any case not later than 14 days after we have been informed of your decision to withdraw from the contract, from us back. We pay you back with the same means of payment with which you made the original transaction, unless you explicitly agreed otherwise; in any case, you will not be charged for such reimbursement. This money only for the standard goods that are delivered, in the original packaging and not unpacked or used, with opened packaging and or in case of damage we can not accept it, and the good amount does not return, with first an income to calculate shrinkage of minus 15%. For customization in antennas and masts and or on request of special products, NO right of withdrawal is possible.